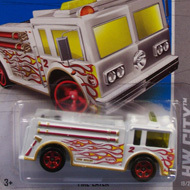 32/250 is part of the HW City series and the 2013 Treasure Hunt set. The black van features yellow, white, and green graffiti plus “CUSTOM” and “Dodge” on the sides. 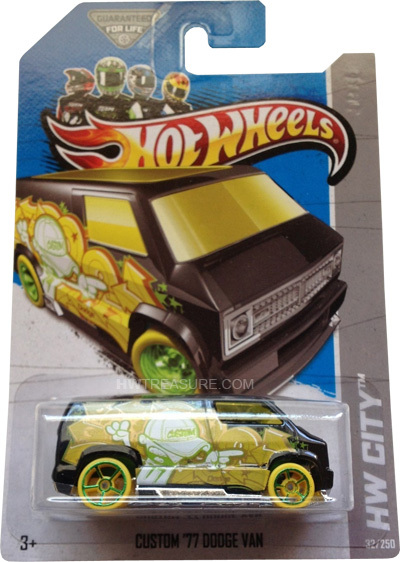 It has yellow tinted windows, green interior, yellow Open-Hole 5-spoke wheels with green spokes & rim, and a chrome plastic Malaysia base. The vehicle is based upon a customized version of the Dodge B-Series van. 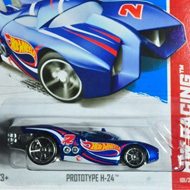 It made its first appearance in the 2008 New Models series.